If one is looking for introductory knowledge about Phish and where they came from, Parke Puerbaugh’s new book, Phish – The Biography is an ideal place to start. Puterbaugh has written an impressive band history by compiling much of the written and oral history surrounding Phish, creating a volume particularly catered to the uninitiated fan. While codifying many stories, interviews, and folklore around Phish, he offers little new information or insight to the knowledgeable fan. 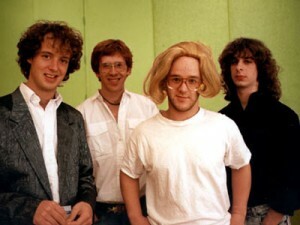 On assignment for Rolling Stone, Puterbaugh’s credentials got his foot in the door of the Phish community during 1995, the year the mainstream magazine first took interest in the band. With such connections, Puterbaugh gained access to Phish’s inner circle, allowing for copious interviews and more than a few funny anecdotes along the way. But despite his access to Phish, themselves, his lack of knowledge surrounding the band’s culture and music shines brightly through his simplistic narrative. Reading like a textbook for “Intro to Phish 101,” Puterbaugh traces the origins of the band from their college days through their current reunion. However, throughout his 250 page volume, Puterbaugh never truly approaches or discusses the band’s music, focusing far more on their interpersonal dynamics. If one has been following the band for any amount of time, this fact becomes a disappointment by the time the book is halfway done, reading like a compendium of every other thing one has ever heard about the band. Everyone knows LSD and drumming were the centerpieces of Fishman’s college experience. 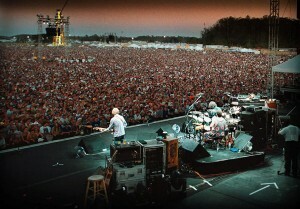 Everyone knows about Trey’s genius, never-ending creativity, and altruism in trying to please everyone around him. Everyone knows about Mike’s eccentricities and frustrations with the break up, and is aware of Page’s grounded nature which became heavily uprooted by the end of 2004. Putting these pieces together, Puterbaugh provides a complete, but sterile, account of the band’s rise from dorm rooms to Nectar’s, and from clubs to arenas. He clearly understands the band’s general trends through the years, but his analysis of Phish’s career comes off as contrived and uniformed. Citing 1993-1996 as Phish’s “peak years,” Puterbaugh simultaneously writes off the band career after the Clifford Ball as one gradual downswing caused by the infiltration of drugs, the growing lot scene, and backstage hangers-on. 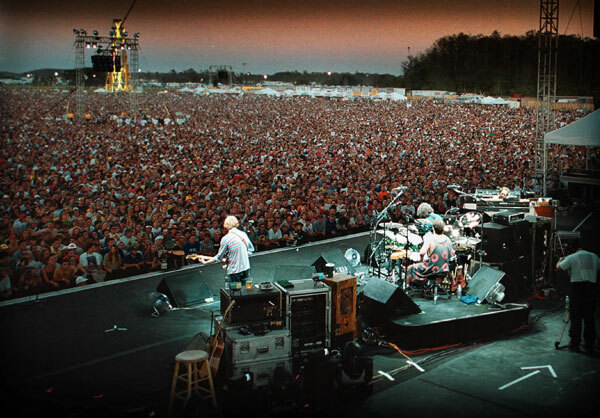 Throughout his analysis of Phish’s post-’96 “growing pains,” he never touches the profound musical evolution during this era beyond simplistically stating that Phish played more groove-based and ambient music, lending a dance party vibe to their concerts. With the noticeable absence of this discussion, Puterbaugh comes off as lacking any true understanding of Phish’s musical path and maturity. Focusing only on what happened behind the scenes, he then generalizes these observations to the stage. His intent is pure – to give Phish their proper due in the mainstream press – but his novice-level comprehension and baseline approach is better suited for people needing an introduction to the band, rather than those looking to delve deeper. Relying heavily on previously written sources, Puterbaugh routinely displays a low-level understanding of Phish culture, and little to no understanding of their music, a glaring element missing from the entire book. Akin to writing about a championship sports team without discussing how they played the game, it just doesn’t make sense. In discounting the years of 1997-2000, Puterbaugh dismisses one of the greatest eras in the Phish history. He paints a picture that implies once the Phish scene lost its early-innocence and their style shifted, much musical acumen went out the door; an claim that most any Phish fan would retort. Puterbaugh takes the word of the band’s oldest-school fans as gospel, following their assessments of the scene and the band as if they were the only perspectives. Just because Amy Skelton or Tom Baggot didn’t vibe on ’98 or ’99 Phish doesn’t mean the band wasn’t shredding and pushing new limits of improvisation. There is no substantive discussion of these years except for chronicling the backstage toll that began to wear on the band – harder drugs, less practice, etc. 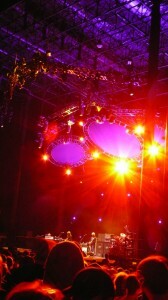 At some point, one begins to wonder if they are reading a biography or a transcript of VH-1’s “Behind the Music.” In glorifying the early years and condemning the latter ones, Puterbaugh provides a very skewed perspective of Phish’s career; one that few fans could whole-heartedly agree with. 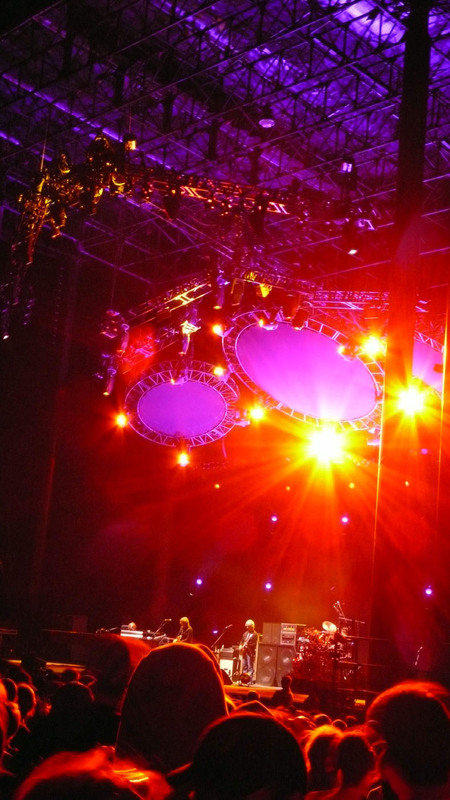 Puterbaugh perfunctorily chronicles Phish’s path from Amy’s Farm through Bonnaroo, but does so with a short-sided vision that doesn’t serve the band or their fans in full. His book is a classic case of an outsider trying to write from an insider’s perspective. Regardless of how many times he interviewed Trey, Puterbaugh’s voice still sounds inauthentic; grasping for expertise on a subject for which he has little. To compensate, he cites interviews, unnamed blogs and other books, relying heavily on the assessments of others to communicate his points. While the biography is well written, more serious fans will pick out factual errors about performances here and there, questioning why, with editors, these mistakes seeped into the book. In summary, anyone who is seriously into Phish and understands a sense of their history will grow bored with Phish – The Biography. Providing little insight beyond what most fans already know, this volume could best be used to indoctrinate a significant other or parent into the history of the band. Though the reader will know plenty about the groups’ personalities, any legitimate knowledge of Phish’s music and their culture will be lacking. 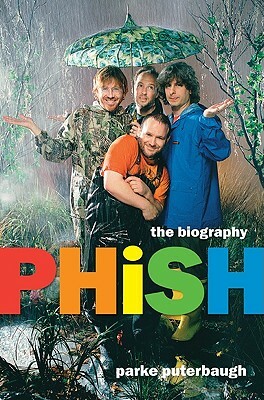 Certainly an entertaining read, Puterbaugh does a fine job in documenting an essential chronology behind the band’s career, but in terms of an enhanced understanding of the phenomenon that is Phish, one will have to look elsewhere. A dark-horse nugget of ’93 goodness from north of the border to start the week. 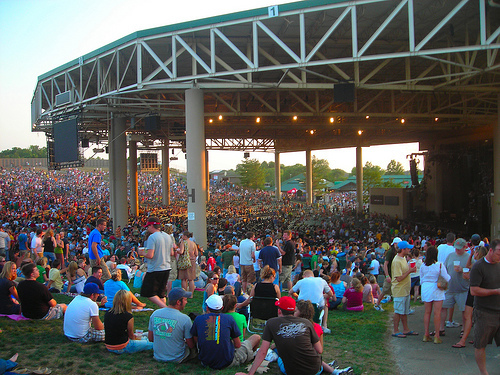 In preparation for the Deer Creek shows on June 3 and 4th this summer, let’s travel back to Phish’s first appearance in the cornfields of Indiana, during the experimental summer of ’95. A monster “Bowie” anchors the second set of this reader request that goes out to Albert Walker! This entry was posted	on Monday, February 8th, 2010 at 12:56 am	and is filed under Uncategorized. You can follow any responses to this entry through the RSS 2.0 feed. Both comments and pings are currently closed. howd the most recent download treat you guys? well based on the set list it looks like a pretty interesting show! Can’t wait to hear them tomorrow night, and I’ll go ahead a hope for liquid time in back to back shows…might be a long shot but would be great! my thoughts exactly. hope it’s phish bound. trey has said they will repeat a handful of staples often. fwiw she says they have about 55 songs rehearsed. and that there will be more tab dates later in the year, including west coast. Hey Lycan, just got in. Haven’t had a chance to hit up that show yet, although I did DL set one. Second set up yet? Where’s the setlist for TAB tonight? 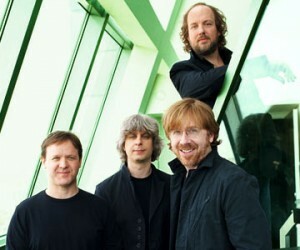 trey.com, phish.com, Twitter, what? A Phish tale as opposed to an astronauts tale or a knights tale, or a dogs tail??? I just read your review of Parke Puterbaugh’s biography and although this is the 711th comment on this thread and I doubt you’ll see it, I wanted to respond to your review. I agree with you on a number of points – specifically your dislike of the narrative that values the 93-95 years over the 97-00, and basically sees everything from 97-00 as a gradual downhill spiral. However, to defend Puterbaugh, he is writing first and foremost with his personal knowledge of the band in mind, and so it can be expected, even if it is non-reflective of the actual musical situation, that he would impose the band members’ personal narrative onto the musicological one. However, your charge that the major downfall of this biography is that there is little discussion of the music seems to be an unfair criticism. Although he is a music journalist, he is not a musicologist. In telling the story of Phish, it would seem to me that he has certainly done a good job filling a book without even talking much about the music. When he does, he uses the descriptive language that he is familiar with and that serves him well (I especially like his discussion of the Red Rocks ’95 shows). To really talk about the music of Phish seriously, one would need a vocabulary that is highly specialized in music, music history, forms, and theory. The musical history of Phish should be written by a musicologist, not by a journalist. If a journalist did undertake such a project, he would have to command a very serious knowledge of music – one that is clearly beyond even the average instrument-playing Phishhead. Finally, you claim that although this volume codifies certain stories that have always been lore, this book is boring for the serious and already initiated phan versed in band history. I would consider myself to be phan of this type, and I found the book fascinating. Gripping, not at all boring. What this book does is not just codifying or giving an official story of the band’s history, but providing a very personal glimpse into the behind-the-scenes details of the band and tells much about the band member’s personalities. I found it fascinating to read about the band’s feelings regarding Story of the Ghost and Farmhouse, re: Trey’s control issues. I though the Trey/Page dynamic was fascinating. Even the stuff from the 80s and early 90s, which is almost common knowledge to fans who’ve read TMIPH and Gehr’s Phish Book, is made much more alive with comments from people like Ian, Amy, Tom Baggott, and other insiders. I think that this is an important first step towards what will, hopefully some day, be a complete documented history and examination of the band and their music.